DEFENDER (1907) The 44 foot wood schooner Defender foundered at Kuskokwim Bay October 22, 1907. There was a crew of three aboard and two passengers none of whom were lost. The home port of the Defender was listed at Saint Michael and she had a value estimated at $1,500. 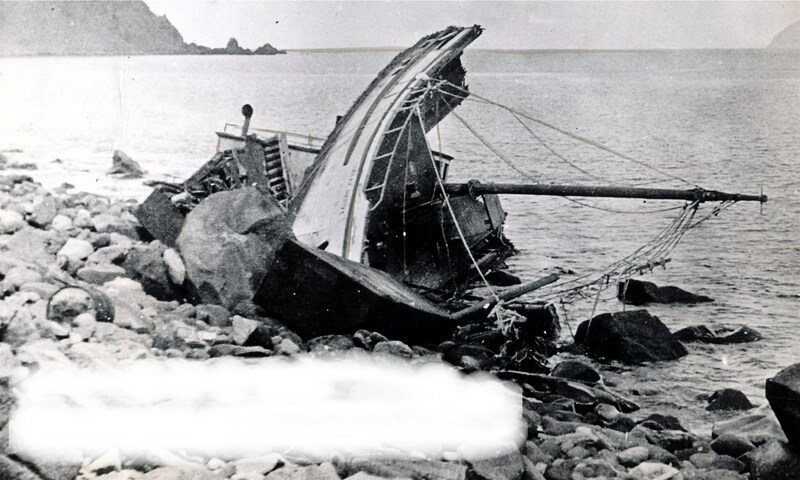 DEFIANCE (1930) The 7 ton 37 foot gas screw lighterage vessel Defiance “foundered in heavy weather” near Cape Blossom in Kotzbue Sound October 15, 1930. The crew of four was picked up by the steamer Arthur J Baldwin. The Defiance was on a trip from Nome to Kotzbue when the casualty occurred. DIAMOND K (1910) The power schooner Diamond K foundered at Cape Darby near Nome October 10, 1910. The two prospectors aboard the vessel survived. The Diamond K and prospecting outfit on board had a value of $3,000 and were a total loss. DUSTY DIAMOND (1900) The 75 foot wooden stern wheel steamer Dusty Diamond drug anchor in a gale to the north end of Golovin Bay and was lost September 12, 1900. The crew of 6 escaped the wreck, but the Dusty Diamond, valued at $2,000 became a total loss. There was no cargo and no insurance on the vessel.